Motorcyclists often choose this particular mode of transportation for the freedom it provides, not to mention the excellent gas mileage. But motorcycles do have a serious disadvantage: The lack of the fiberglass shell that protects the occupants of a car. After a motorcycle accident, it’s likely that you will accrue significant medical expenses and other losses, which you may be able to recoup by filing an accident lawsuit in Riverside. 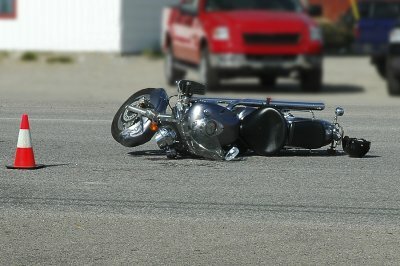 To protect your legal rights, get in contact with a motorcycle accident lawyer as soon as possible. It should go without saying that it’s essential to call 911 after a motorcycle accident. However, if you were unconscious after the crash and were taken to a hospital, then you will need to contact the local police department later to file a police report. Be sure to get a copy of the report and share this with your motorcycle accident lawyer. Assuming that you aren’t taken to the ER while unconscious, it’s essential to get to the nearest hospital after the police clear you to leave the scene. Even if you think your injuries are relatively minor, you may need medical attention for undetectable internal injuries. Plus, your motorcycle accident lawyer will need your medical records as evidence to support your legal claim. It’s important to pay careful attention to your doctor’s discharge instructions. Keep all follow-up appointments as recommended by your doctor and undergo all recommended medical tests. Let your doctor and your lawyer know about any new or worsening symptoms and any complications that may develop. Be sure to keep copies of all of your medical receipts, including bills for your hospitalization, diagnostics, treatments, and medications. It may be tempting to rush your motorcycle to the repair shop as quickly as possible. But actually, your motorcycle accident attorney may ask that you preserve the post-crash condition of your bike. This is because your attorney may hire accident reconstruction experts. Additionally, the damaged bike is a convincing piece of evidence in the event that the lawsuit goes to trial.